We bet the sleek and bold looks of this shoe caught you off guard! 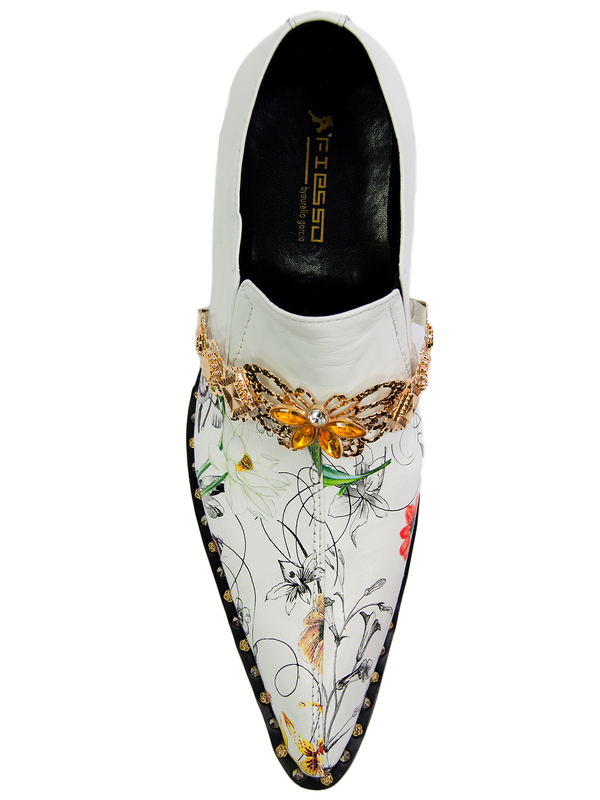 The Mens White Patent Leather Slipon Shoe features a soft floral pattern hand painted on leather with metal studds all around the sole The decorative metal strap with stones and crystals adds that special touch and screams for attention. They make perfect dress shoes for a wedding and look great in blue jeans or just dancing the night away. You're guaranteed to turn every head in the room when you walk in wearing these dress shoes from Fiesso.